In a small bowl, whisk together dry ingredients for base. In a large bowl mix the honey, tahini and vanilla. Add the dry to the wet and stir until well incorporated. Use your hands to mould into cookie shapes 1/4 inch thick, place on lined baking tray and bake for 18 mins, then transfer to rack to cool. Once cooled, blend in food processor with the coconut oil. Grease a 9inch spring form tin and tip in your cookie crumbs. Using your fingers press carefully and evenly on the base and edges to create an even crust. Bake for 20 mins at 160C. To make the filling scoop out the creamy coconut leaving liquid then blend all ingredients until smooth, pour into the cooled biscuit base and place in fridge to set for 6 hours at least. 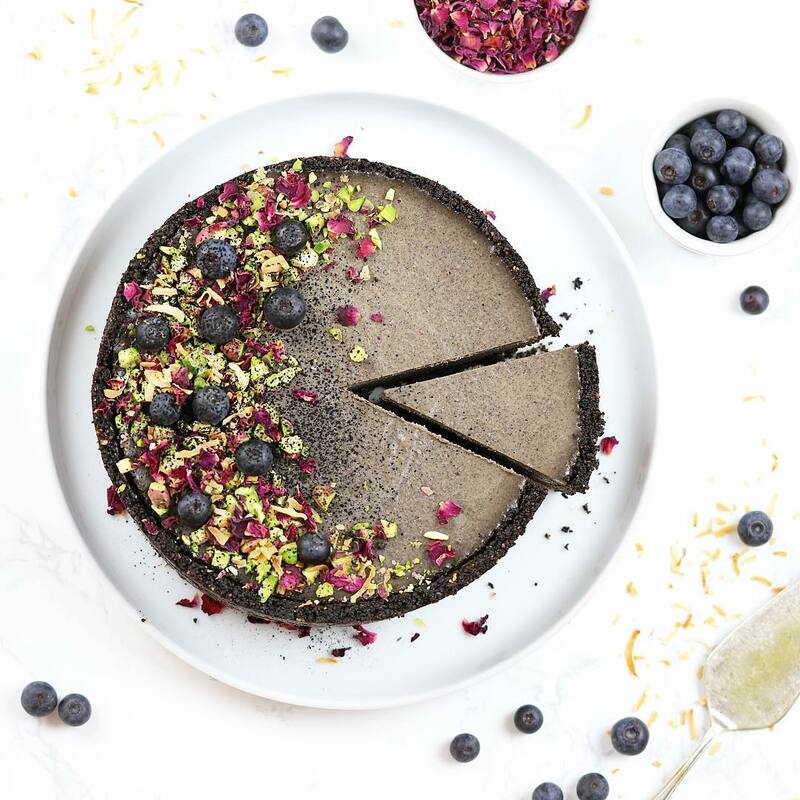 Decorate with pistachios, rose petals, coconut, blueberries & activated charcoal.